I am from the Pacific Northwestern US. On the coast, we have no venomous snakes. I love snakes. As a kid, I caught the uncommonly seen garter snakes whenever I could. They were practically harmless, but were hard to catch. They were quick, and you had to pounce instinctively without thinking. In the tropics, that behavior will get you killed. Almost has gotten me killed and I’m still forcing myself to curb the catch reflex. I see a snake, my first thought is to grab it. Bad idea in an area of so many vipers. Which brings me to this guy: Central American name “Terciopelo”. Literally, “velvet”, referring to its textured scales (it’s not actually velvety, but don’t ask me how I know this). Also known as the Central American lancehead, the fer-de-lance, or the jergón. Really, it’s a collection of similar species of the same genus. But I treat the all the same: do not touch. While vipers are not the only venomous snakes, they may have the nastiest vemon, and the terciopelo carries an especially potent one. And it is not afraid to use it. Some snakes will bite a potential threat without injecting venom—a “dry bite”—as a warning. But don’t count on those odds. Plus, baby snakes are just as toxic and don’t yet know how to control their venom, always delivering a full dose. Terciopelos in particular have an annoying habit of not announcing their presence like rattlesnakes or brightly colored coralsnakes. Instead, they coil up, bunker down, and look for all intents and purposes like a pile of dead leaves. And if you approach, they wait. Local legend refers to the “third man rule”: in a group walking along a trail, the first person startles the snake, the second person pisses it off, and the third bets bitten. True or not, they do like to lie in trails, on the banks of rivers, and in steps, blinds where they can ambush small mammals crossing the open space. If you happen to spot one, and try to shoo it off the trail, remember it can strike over half its body length. This snake can also jump, climb, and swim. I’ve seen them move rapidly and unpredictably, reversing direction suddenly to strike pursuers. They can get to be 3 meters and have nests of over 50 young. Do not tangle with this snake. And if you get bit? Remember what I said about vipers having nasty venom? The venom is a lytic, meaning it causes your individual cells to explode. As it enters your body from the bite, it dissolves the thin membranes of your blood vessels, causing hemorrhaging. At the same time, it destroys clot cells and platelets, turning the blood filling your tissues into jelly. Your panicking heart will carry the toxin away from the bite in seconds, too soon for a suction pump, and towards your vital organs if you don’t get antivenom. Even if you do, it won’t reach the areas of severe tissue damage which are quickly turning necrotic and must be reopened and flushed with water for days. And the pain is indescribable. I’ve met survivors of terciopelo bites. One got dry-bitten, and was very lucky. Another got antivenom in time, and but the damage to the blood vessels in his eyes was irreversible and he constantly bleeds from his eyes still today. But he too considers himself lucky. But neither of them are as fortunate as the group of tourists I once saw crowd around a terciopelo in a bucket to take pictures. Someone wanted a photo of it striking, and poked it with a stick. 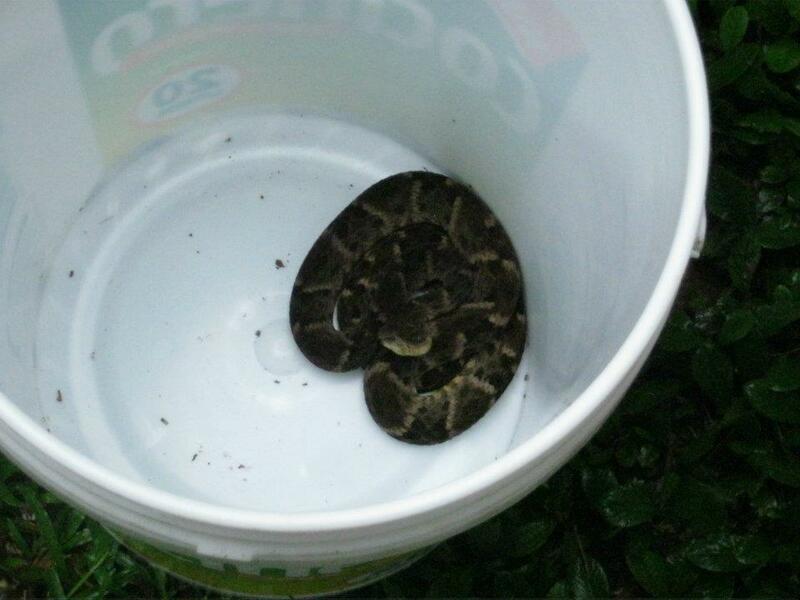 The snake jumped right out of the bucket and into the middle of the crowd. Somehow, no one was bitten.